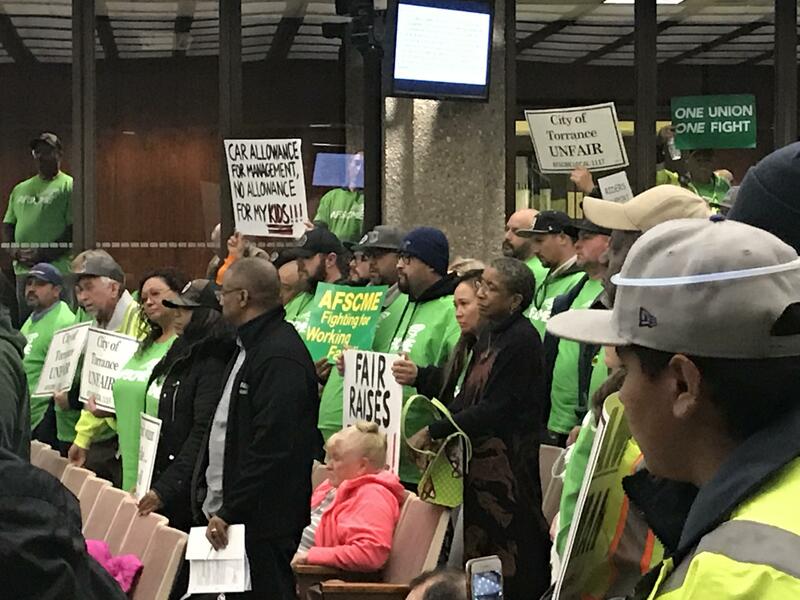 In the packed Council chamber, dozens of tree trimmers, bus drivers, crossing guards, libarians and many other workers in AFSCME Local 1117, all wearing green shirts and carrying signs, stood up in solidarity as union President David Inez spoke for them. The City is proposing a 1% wage increase for a two year period -- which does not come close to even covering the roughly 3% annual cost of living increase. Moreover, Inez said, the City's workforce is being expected to pay an average of $600 per month out of pocket for family health care premiums -- which is much more than their counterparts in comparable cities pay. For workers earning $20 an hour on average, that is an enormous financial burden for them to carry. Inez said that as the face of public services in the community, "We deserve better." 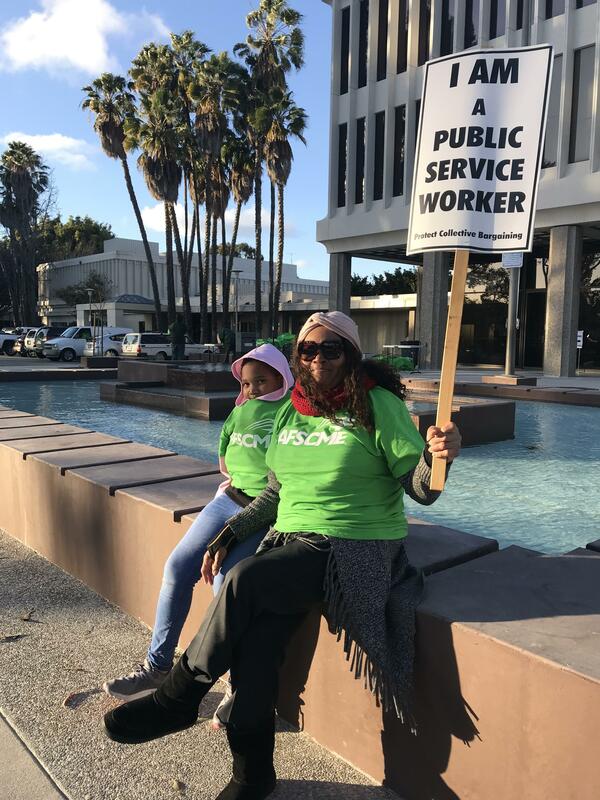 Adding to the pressure for City leaders to react, the labor protest was covered in the local newspaper, the "Daily Breeze." 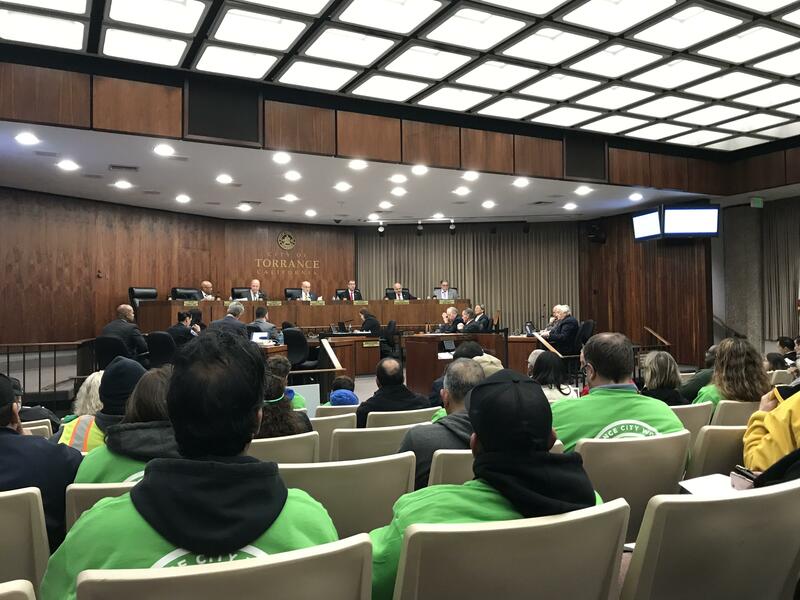 Perhaps unsurprisingly, by press time, the City had already contacted the union's leadership to arrange an immediate meeting to discuss the issues and a resolution going forward, according to Council 36 business representative, Bob Adams.